Google has launched Maharat min Google, a digital skills training program for Arabic speakers. The program was launched yesterday at an event hosted by the company in Dubai. 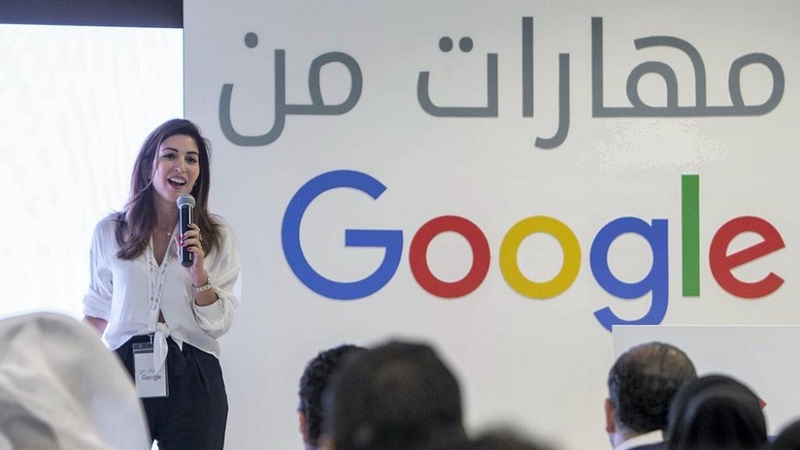 With the initiative, Google aims to help Arabic speakers specifically women and youth learn different digital skills in Arabic to prepare them for the future job opportunities. “In the Middle East and North Africa, only 38 percent of youth believe their education gives them the skills they need to enter the workforce. By 2020, one in five jobs in the Arab world will require digital skills that aren’t widely available today. Many women are contributing to the innovation coming out of the Arab world, yet this region has among the lowest female economic involvement globally,” the company wrote in a blog post announcing the program. Maharat min Google’s online platform currently offers 26 free courses (mini-courses actually) across different categories including search engine marketing, content marketing, social media, display ads, video, ecommerce, and more. The lessons are available in form of over 100 explanatory videos. Participants who complete all the 26 courses, each one of which also includes a small quiz at the end of the lesson, will get a certificate from Google. The courses would take 9 hours to complete, Google’s representative said, speaking at the launch event. Since launching, Google has put up a link to program on its homepage in Arab countries which is obviously not an ordinary thing, only the biggest company announcements and products make it to their homepage. The initiative apart from the online platform will also provide in-person digital skills training and other tools. According to company’s announcement, they will provide the in-person training to over 100,000 people in Saudi in partnership with the MiSk Foundation. The company is aiming for 50 percent female participation in this Saudi training program. Google also announced a million-dollar grant for Injaz Al-Arab, from its charitable arm Google.org. Injaz will use the grant to help 100,000 high school and university students esp. women and underprivileged in rural areas to learn digital skills through hands-on training across the region. Featured image via The National.